Submit your order securely to us via this website. Visit us again after you have placed your order to view order history. Pasco-Hernando State College Store is proud to offer you the most competitive shipping rates. All of our shipments are professionally packed to ensure the safety of your items en route. On average, your order will be received in 7-10 working days. During college breaks or holidays, delivery time may take longer. All sales are backed by a 100 percent refund guarantee of the purchase price. If not 100 percent satisfied you may return the book in the original condition received (software must be unopened). Please include a copy of the packing slip with the credit card charge to the address below. All returns must be postmarked no later than then the first week of the current semester. Returns made to PHSC college stores will be refunded in the form of the original payment method. Shipping charges are not refundable. 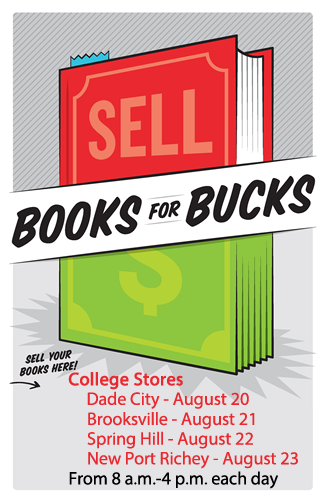 The College Store will accept textbook returns for refunds during registration, drop/add, and the week immediately following the end of the drop/add period. Store personnel cannot issue a refund if the textbook has been written in, is damaged in any way, or without the original cash register receipt. If students have outstanding balances owed to the college, then any refund for books or supplies will be applied to or reduced by the outstanding balance owed to the college. Books and content must be in the same condition as when purchased. New books that have been marked in any way are not refundable. Books or software that have been used or accessed will not be refunded. PHSC College Stores will only issue a refund if you have the original receipt for the purchase. Save your receipt, without it, you will not receive a refund. No exceptions. PHSC College Stores will offer a full refund on computers and electronics within 14 days of the original purchase. The original transaction receipt is required for a refund. All supplemental materials, software and packaging are required for a refund.